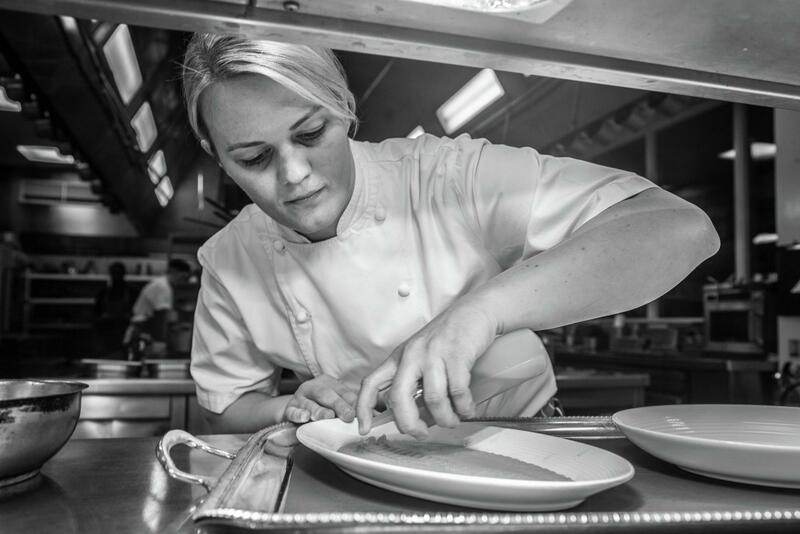 The disproportionate ratio between the number of male and female head chefs is indisputable, but the tables are beginning to turn. "There is no major twist with my cooking. 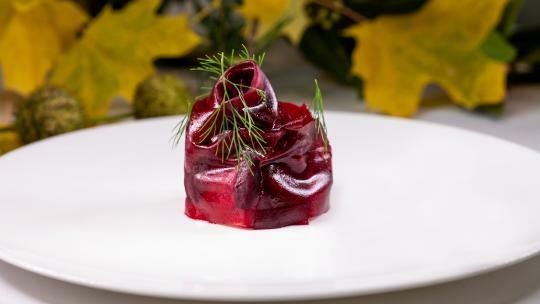 I love to take the best Italian produce of the season, mix it with the best of British and then cook with Italian heart. The Roux Scholarship was incredible. It is the only competition I’ve ever entered and it taught me that you can do absolutely anything you put your mind to. It also made me realise that sometimes you have to put yourself out there because if you don’t challenge yourself, you can’t keep learning and growing as a chef. It was only when I first stepped into a professional kitchen that I had this sudden epiphany. I had never considered it as a career before. The toughest part of working in a kitchen is managing 13 people whose personalities are so different. Much of being a head chef is about the pastoral care you give to your team. The hours can be lengthy, but nothing will ever beat the buzz of a busy service with your brigade firing on all cylinders – it is priceless. I love writing recipes and I am hoping to explore this more in the coming months. My grandfather was the first Asian man to own a pub in this country so, alongside the excitement of the London restaurant scene, I would love to have my own pub in the countryside one day. I know that he would be very proud of me." 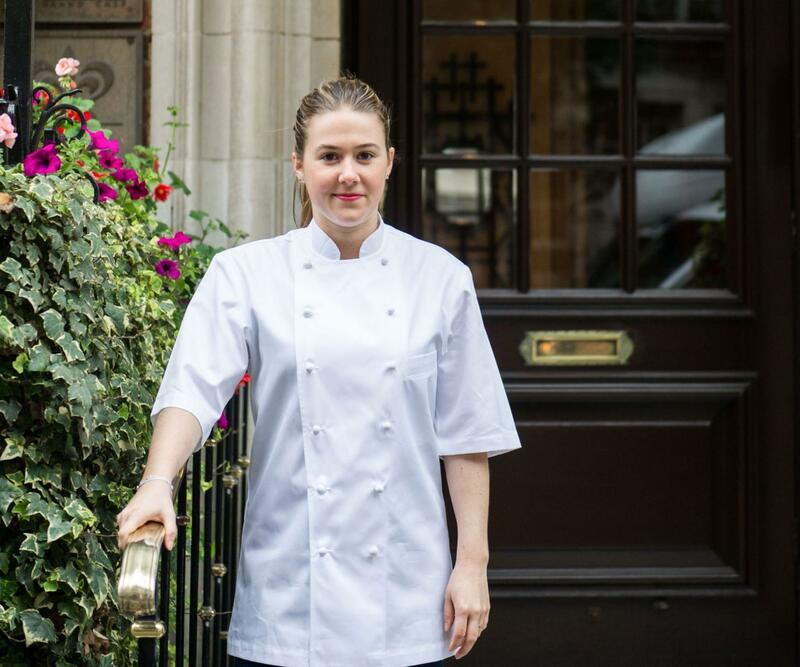 "Becoming the first ever female head chef at the iconic Savoy Grill has been the highlight of my career so far. More women are being encouraged to come forward and since we weren’t as recognised in the industry before, it’s a real breakthrough. Gordon [Ramsay] has been a huge influence on me and I believe his praise has got me to where I am today. Once I’d finished my studies in hotel and restaurant management, I did an internship at a restaurant in Missouri called Top of The Rock. 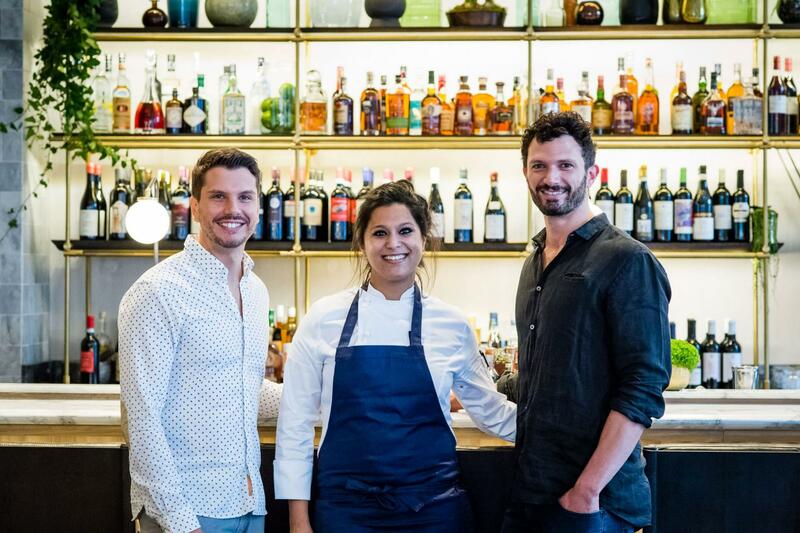 Upon returning to the UK, I joined the Gordon Ramsay Group as junior sous chef of Boxwood Café and then worked here for the launch of the Savoy Grill following its refurb. From there I became head chef at the York & Albany, reached the semi-finals of Masterchef: The Professionals, before returning to run the kitchen here. Gordon has been a huge influence on me and I believe his praise has got me to where I am today. He has such incredible enthusiasm and really motivates you to becoming the best that you can be. He taught me that being a great chef is mainly about attention to detail. It’s also about having the right attitude and looking after your team. 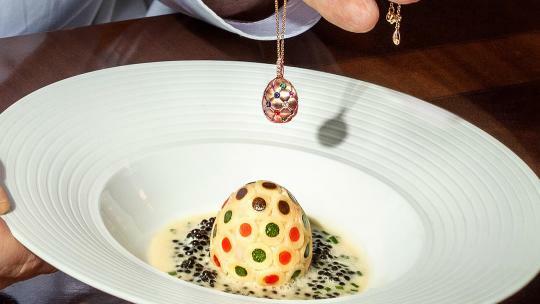 The industry is becoming even more creative and chefs are doing even more different and exciting things – I believe this is only going to continue." "In my new recipe book, I’ve essentially taken what I think are the best, most popular and easiest dishes to make. There’s a lot of fusion mixed in with modern and traditional dishes. In Britain, Korean food is starting to become more popular, but there’s still very low awareness. People often think Korea is a country in Southeast Asia and so they readily compare the cuisine to Thai food, which is really frustrating because the flavours are so different. In Southeast Asia, there’s lemongrass and coconut because it’s tropical all year round, whereas in Korea it’s freezing cold. You can’t compare a Korean fried chicken to a Thai fried chicken, for instance. It’s like trying to compare a Polish pierogi to an English pasty. When you’re in a conference room with 40 men and they’re all twice your age, you have to learn quickly to deal with the big boys. 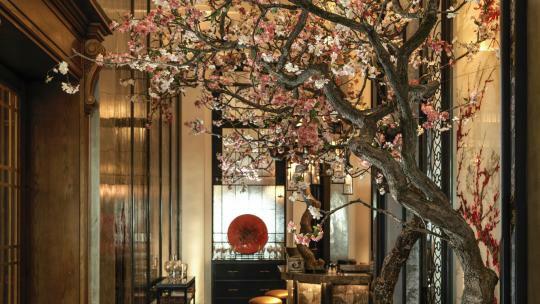 Korea sits in between Japan and China, both physically and in terms of cuisine. A traditional Korean table is a myriad of small dishes. My presentation is a bit more polished than normal Korean restaurants, but we make every single sauce from scratch because it’s very important to me to keep the flavours real. Korean food is the language of love. If 16 years ago people had told me I would be living in London, have TV shows, restaurants and a book I would have never believed it. Straight out of university, I went to work on Wall Street for Morgan Stanley as a fixed income trader. Trying to get ahead working on a trading floor as a minority female is ridiculous. You have to have balls; I hate that expression, but when you’re in a conference room with 40 men and they’re all twice your age, you have to learn quickly to deal with the big boys. It’s just as brutal working as a chef, if not harder. You work longer hours and are dealing with so much in terms of operation, especially when it comes to your own business. Every single detail, down to the type of paper used for the menu, is very much your responsibility. Every chef who wants to progress is inevitably going to become a restaurateur eventually. Going back into the kitchen would be a luxury. But I am undoubtedly very blessed." 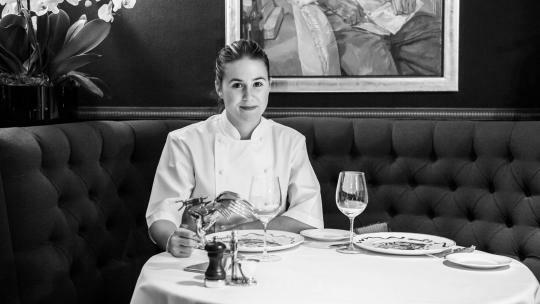 Emily Roux - chef consultant at Chez Roux Ltd.
"Every month on a Monday my father – Michel Roux Jr – and I now host pop-up dinners at Le Gavroche. I loved the idea of taking over the place and doing my own recipes for an evening and Dad thought it was a great idea too. The most recent one we did was to celebrate women in the kitchen so we had Le Gavroche’s Rachel Humphrey, Murano’s Angela Hartnett and myself. My father’s very fair. If there’s something not right with a dish he’ll say so and he’s right most of the time. You sometimes have to scream a little louder to make yourself heard as a woman. I think the shortage of female chefs is mainly because it’s very difficult to bring up a family working such anti-social hours. My mother wasn’t keen for me at all to pursue it so one day she asked me, “Are you sure you really want to do this?” I said “yep” and that was that. My father’s very fair. If there’s something not right with a dish he’ll say so and he’s right most of the time. It can sometimes be more difficult when skipping a generation and working with my grandfather. He still loves cream and butter, so when I don’t put any in my recipes he gets a bit defensive. I am classically trained, but I prefer modern cuisine. The most recent place I worked at was called Akrame in Paris. I went there when I was 18 because at that age I didn’t want to have my family’s name on top of my shoulders. 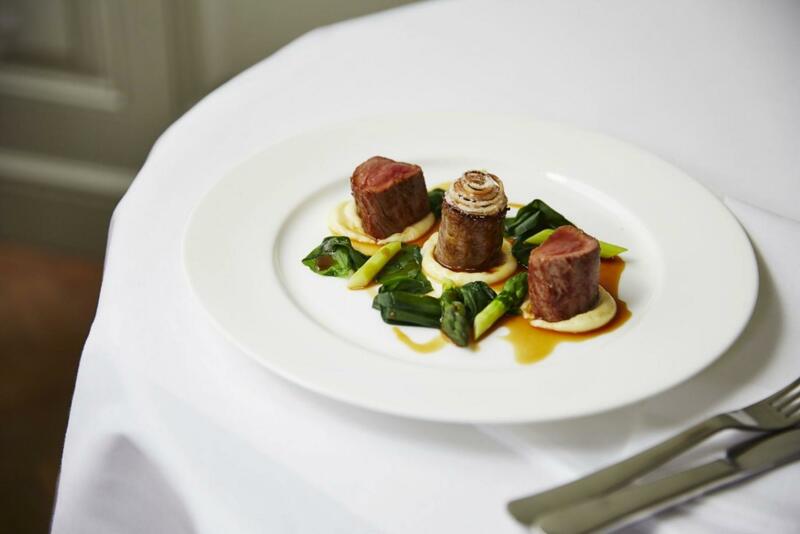 I’d love to open a restaurant with my other half who’s Italian and a chef at Le Gavroche." "I have always loved cooking. My father was a butcher so we used to do a lot together at home, but then I was encouraged by my parents to go to university. I was there for a year, but it didn’t work out so I decided to train as a chef. This was quite a bold move at the time for a woman because there weren’t many others around, apart from Delia Smith, Nigella Lawson and other culinary TV goddesses. The industry has changed unrecognisably and unpredictably since I first started. In my kitchen, there’s only five chefs, but it’s 80 per cent female. It’s still a tough route to go down and very competitive. 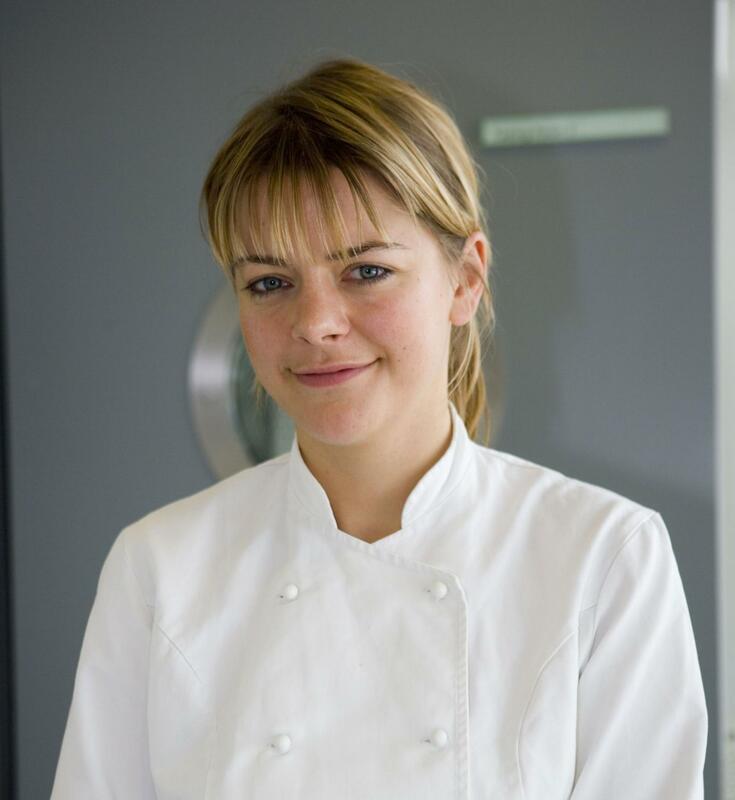 There are still very male-dominated kitchens, although Le Gavroche has been run by two women for the past decade. When we first opened the restaurant, it was a very difficult time because I had come from a private chef background and so didn’t have a team. I remember speaking to Michel Roux Jr and saying, “Help! This isn’t working.” And he just said, “Look, you’re doing really well, just don’t give up.” I think that was the best piece of advice he’s ever given me. The industry has changed unrecognisably and unpredictably since I first started. In my kitchen, there’s only five chefs, but it’s 80 per cent female. Masterchef: The Professionals was an amazing opportunity. It gives you a lot of confidence as a chef. When I opened the restaurant I had exactly the same butterflies-in-my-stomach feeling as I had while on the show. The trickiest thing was keeping control of my nerves. Most competitors would be shaking because we all wanted to do well. The lights are bright, you’ve got about 20 members of the film crew watching you and then on top of that, you’ve got time constraints. I remember the night before the final I woke up at 3am in sheer terror. I would like to be considered a pioneering woman in the industry and I’d really like to help others starting out. I want to keep opening more restaurants because it’s incredibly fulfilling. And maybe fit in some babies at some point."